I still love the Fast Show. A popular opinion is that it revived a genre - the sketch show - which many said was dead, but I think it defined the genre and set a high water mark which no other sketch show has ever reached. Maybe I'm biased because this programme was on TV during my early teens and was duly lapped up and mimicked by me and my peer group at school. In fact I specifically remember a golden TV scheduling season, when The Fast Show and Nick Fisher's Screaming Reels (which you can now watch on 4oD here: http://www.channel4.com/programmes/screaming-reels/episode-guide and on YouTube!) were both broadcast on the very same night! Comedian Paul Whitehouse is famously an angler in his spare time, as well as an Angling Trust Ambassador. He often allows his passion to influence his comedy writing, whether it's Ted's futile attempts at teaching Ralph how to fly fish, to convincing Aviva to let him create an angling character, Ollie the Fisherman, for a nationwide advertising campaign! "Don't get cocky Peter. You're not an American!" Brilliant clip! Watching this it's obvious that Whitehouse is an angler. The tackle and many of the terms & references are authentic; he's obviously had some major input in the writing of this scene. The angling anoraks ("angloraks"?) amongst us will notice that Simon Day is set-up with a spinner which he just casts out and leaves, rather than retrieving. No wonder he doesn't catch! There's also another related story on the Daily Mail website, about a pike found choked to death on a carp in Suffolk. I've seen various fishing-related stories on there over the years and they're usually made cringeworthy by the ropey photographs and quotes from their subjects and "experts" (although in this case with Bruno Broughton they at least found an actual expert! ), but I had to chuckle at the final sentence, referring to taxidermy costs: "'So after a couple of days I had to bury it,' said Mr Walker." 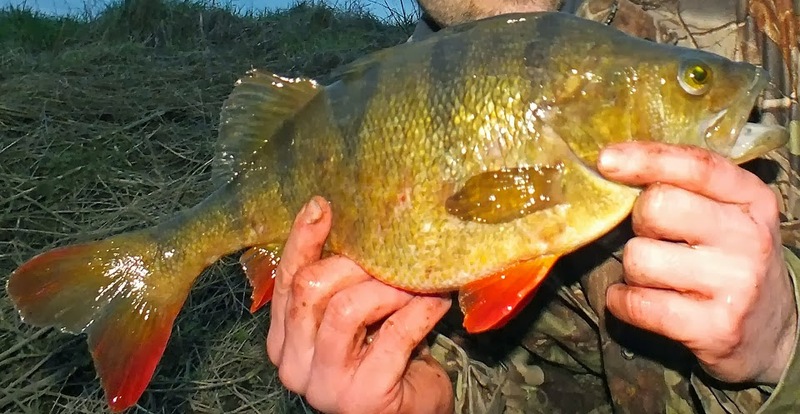 According to this online article citing the journal "Science", a study carried out on the feeding activities of perch suggests that residues of benzodiazepine passed in human urine may be present in watercourses, in such concentrations that it can "turn fish into greedy, risk-taking loners"! Maybe that explains why there are so many big perch around nowadays! These findings suggest that there is a need to improve sewage treatment so that the chemicals from medications we take don't find their way into rivers, where - as this study suggests - their effects on the natural world can't be predicted.